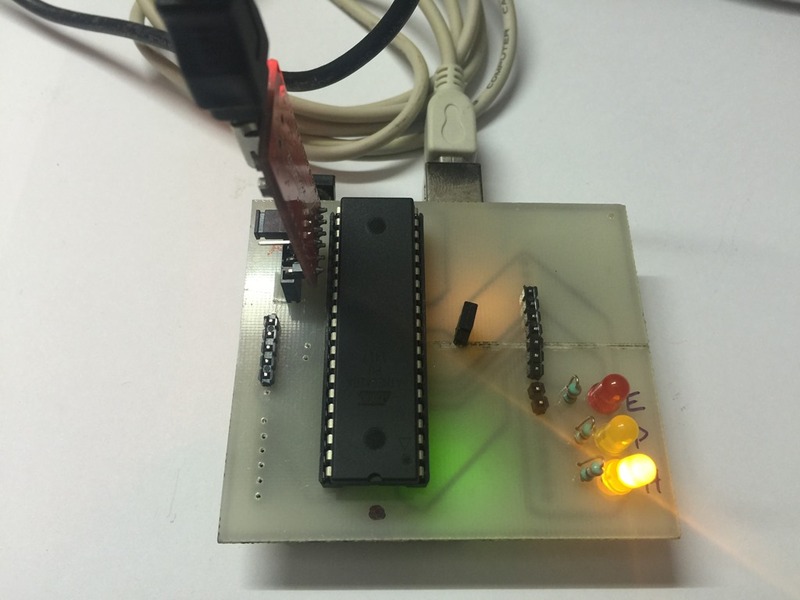 In recent days I started programming more on Atmega chips than Arduino boards. I use Arduino Uno as the ISP to bootload and program the Atmega chips. One of the difficulty I faced to use Arduino ISP is the wires running from Uno to bread board. If I misplace the breadboard slot while plugging a new chip, I might fry it and waste my money. So I decided to make a shield for my Uno. It’s nothing special and not so beautiful but does it job well. 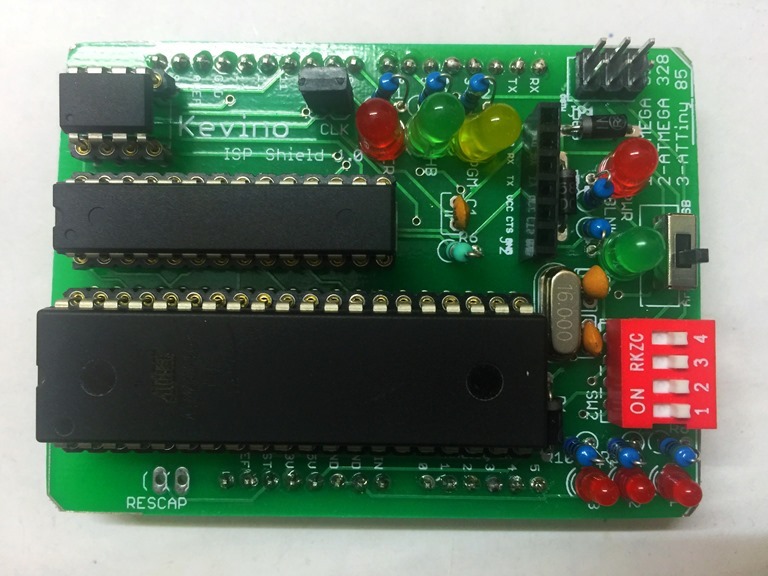 This board is based on the Arduino ISP sketch from lydiard. 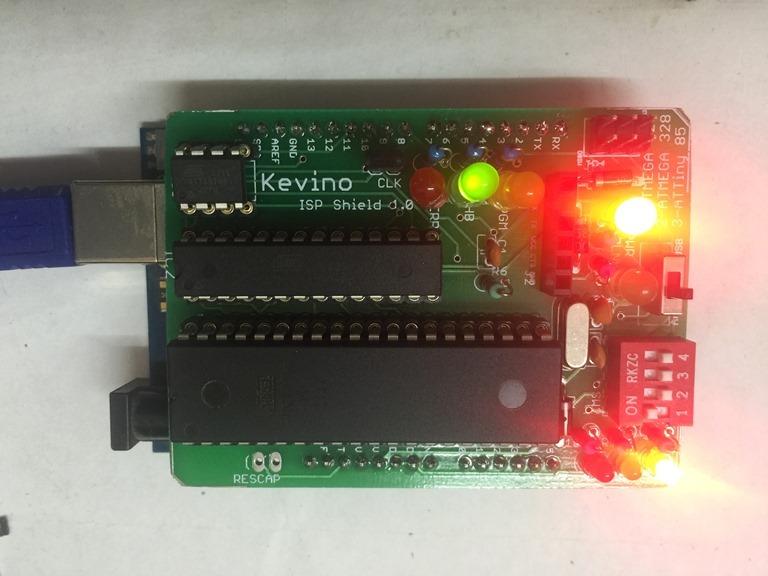 I also kept a slot to plug FTDI USB to TTL adapter, which connects the Serial port of Atmega 32 plugged into the shield. Using the TTL adapter I can see the serial writes from the chip and easily debug my code. With this board I can bootload several of my Atmega 16/32 chips and upload sketch very easily.